Radio DJ ONE (Dance & Trance .:d-_-b:. ): Explore trance with DJ Mas & DJ Steff to the best trance radio online! Explore trance with DJ Mas & DJ Steff to the best trance radio online! 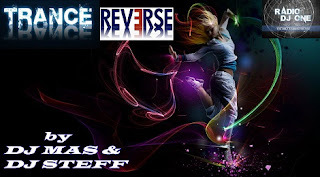 Explore trance with DJ Mas & DJ Steff exclusive at Radio DJ One (The Only Trance For You) to the best trance radio online! you in everyweek a new episode, now Trance Reverse 005. Join us! for listening the best sound in trance, for listen and explore trance with DJ Mas & DJ Steff exclusive at Radio DJ ONE (The Only Trance For You) to the best trance radio online!